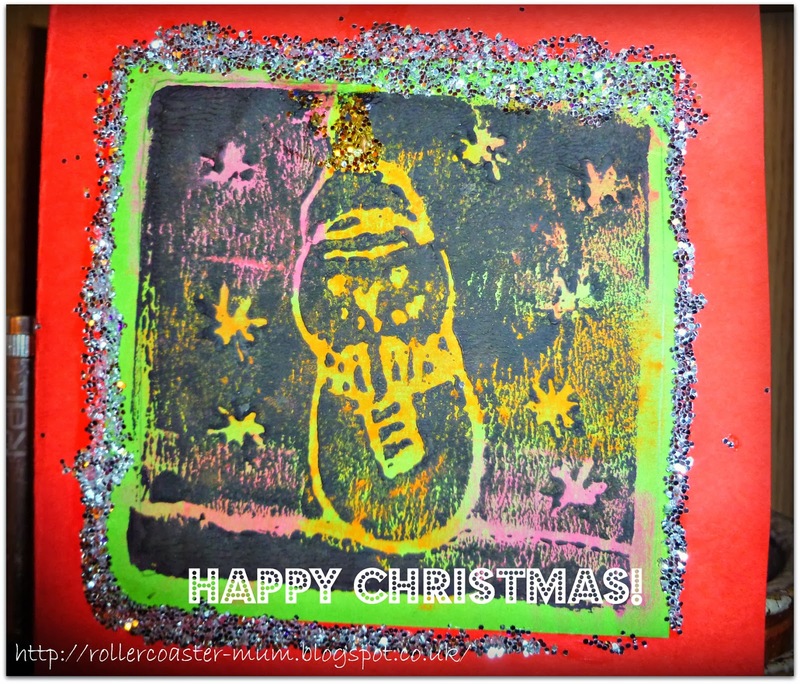 Very sweet - a Christmas card made at school? That looks really effective - is it melted crayon? A perfect Christmas greeting! What a good picture! This is fantastic :) I forgot about theses types of pictures, what a great idea for a Christmas card!!!! Handmade are always the best.